We're starting a brand new year at Hell's Kitchen Flea Market with a fairly good forecast for early January -- at this writing, there's no snow in the forecast for this weekend and we're expecting a nice day for shopping. We'll start the new year off with lots of great vendors and plans for great community events too. We've been listening to your comments at the market and on social media, and we've had a great response to pet adoption days, so expect some special events with some of New York's most amazing animals in 2017. And of course, we have continued to welcome new vendors (you can now sign up online here) whose treasures bring in more shoppers from around Manhattan and around the world every week. 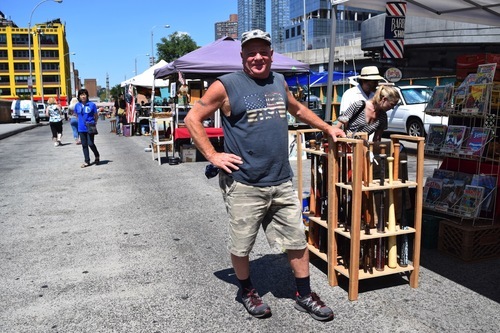 Start the year out right with a trip to flea! Here's to a happy, healthy 2017--with lots of treasure hunting!